Dr Matthew McGrail is a full-time Senior Research Fellow with the UQ Rural Clinical School, based in Rockhampton. His primary role is Head of Regional Training Hubs Research. Dr McGrail is internationally recognised for his rural medical workforce research. He was a lead investigator on the completed Centre of Research Excellence in Rural and Remote Primary Health Care, under which he developed improved measures of healthcare access, notably producing the national Index of Access. 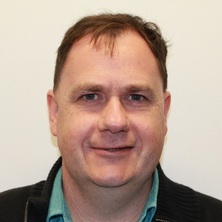 He also remains a lead investigator of the Medicine in Australia: Balancing Employment and Life (MABEL) longitudinal study of doctors, under which he leads the rural supply and distribution research theme. A key outcome of MABEL was the Modified Monash Model. Whilst employed at Monash University, Matthew was a co-developer with Emeritus Prof John Humphreys of the MMM, which was adopted in 2015 by the federal Department of Health to underpin many of their national rural health workforce incentives and policies. McGrail, Matthew and Humphreys, John S. Development of a national Index of Access for primary health care in Australia: discussion paper. Churchill, VIC, Australia: Monash University * School of Rural Health, 2015. Do rural incentives payments affect entries and exits of general practitioners? Carson, Dean, Punshon, Katherine, McGrail, Matthew and Kippen, Rebecca (2017) Comparing rural and regional migration patterns of Australian medical general practitioners with other professions: implications for rural workforce strategies. Australian Population Studies, 1 1: 55-68. How does the workload and work activities of procedural GPs compare to non-procedural GPs? Where to next for rural general practice policy and research in Australia? McGrail, Matthew, O'Sullivan, Belinda, Russell, Deb and Scott, Anthony (2017) Solving Australia’s rural medical workforce shortage. Centre for Research Excellence in Medical Workforce Dynamics: Policy Brief, 3 . Urban washout: how strong is the rural-background effect? Which dimensions of access are most important when rural residents decide to visit a general practitioner for non-emergency care? Hussain, J., Robinson, A., Stebbing, M. and McGrail, M. (2014) More is more in remote Central Australia: more provision of primary healthcare services is associated with more acute medical evacuations and more remote telephone consultations. Rural and Remote Health, 14 4: . How do rural GPs' workloads and work activities differ with community size compared with metropolitan practice? What factors contribute most to the retention of general practitioners in rural and remote areas? Rural amenity and medical workforce shortage: is there a relationship? Professional satisfaction in general practice: does it vary by size of community? McGrail, Matthew R., Humphreys, John S., Scott, Anthony, Joyce, Catherine M. and Kalb, Guyonne (2010) Professional satisfaction in general practice: does it vary by size of community?. Medical Journal of Australia, 193 2: 94-+. Stevens, M., Harrison, G. and McGrail, M. (2008) Pain is difficult to measure - Reply. Anaesthesia and Intensive Care, 36 2: . Stevens, M., Harrison, G. and McGrail, M. (2007) A modified fascia iliaca compartment block has significant morphine-sparing effect after total hip arthroplasty. Anaesthesia and Intensive Care, 35 6: 949-952. The best and worst aspects of the ICU research coordinator role. Robinson, Anske, Burley, Mollie, McGrail, Matthew, Drysdale, Marlene, Jones, Rebecca and Rickard, Claire M. (2005) The conducting and reporting of rural health research: rurality and rural population issues. Rural and Remote Health, 5 4: . McGrail, Matthew, Jones, Rebecca, Robinson, Anske, Rickard, Claire M., Burley, Mollie and Drysdale, Marlene (2005) The planning of rural health research: rurality and rural population issues. Rural and Remote Health, 5 4: . Does the presence of an emergency physician improve access based quality indicators in a rural emergency department? O'Connor A.E., Lockney A.L., Sloan P.M. and McGrail M.R. (2004) Does the presence of an emergency physician improve access based quality indicators in a rural emergency department?. , 16 1: 55-58. Are practice locations associated with GPs having school-age children and working spouses? McGrail, Matthew, Russell, Deborah and O'Sullivan, Belinda (2017). Are practice locations associated with GPs having school-age children and working spouses?. In: 14th National Rural Health Conference, Cairns, Australia, (). 26-29th April 2017. Mallia, Katherine, D'Amore, Angelo, Connolly, Marnie, McGrail, Matthew and Campbell, David (2017). Scope of practice of nurses and allied health practitioners in East Gippsland. In: Leanne Coleman, 14th National Rural Health Conference Proceedings. 14th National Rural Health Conference, Cairns, Australia, (). 26-29 April 2017. McGrail, Matthew and Humphreys, John (2012). Formulating a more appropriate and equitable system for allocating rural and remote health workforce incentives. In: Primary Health Care Research Conference, Canberra, (66). 18-20 July 2012. Gowardman, John, Jefferies, Paula, Nimmo, Graeme, George, Narrelle, McGrail, Matthew and Rickard, Claire (2010). Catheter- Related Bloodstream Infection (Cr-Bsi) Arising From Short Term Vascular Access-A Comparative Assessment of Two in Situ Diagnostic Methods. In: 40th Critical Care Congress, San Diego Ca, (U114-U114). 15-19 January 2011.